Halloween Sale ends on Halloween! 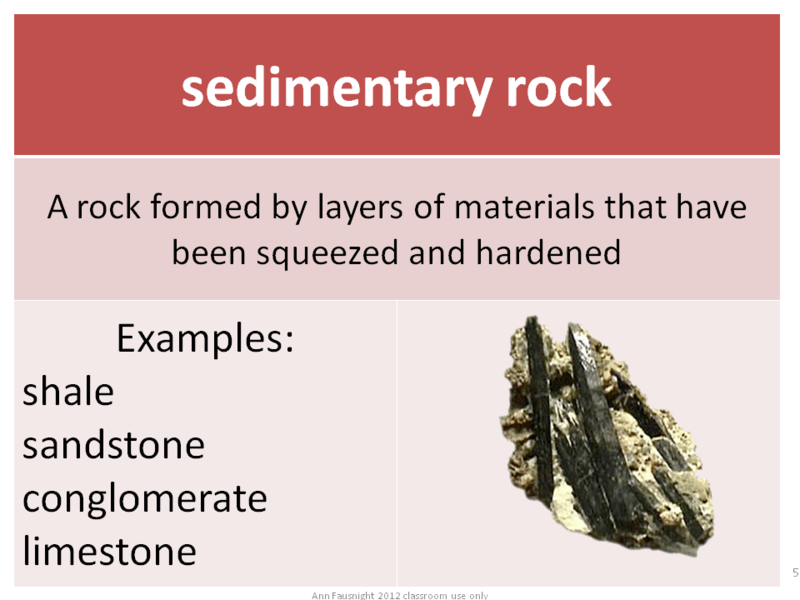 Sedimentary rock comes from the Latin word sedere “settle. Students can watch soil, pebbles, etc. in water settle to the bottom. They can be part of the beginning of new sedimentary rocks. It is an experience they can remember. When I had access to a kitchen, I used to make “rocks” with my students. We made igneous lollipops from completely melted sugar boiled at high temperatures and then cooled. We always colored them bright red. The cooking process was more student observation than participation. Biscotti are perfect for metamorphic cookies. They are baked twice resulting in hard cookies. Students love to roll and knead these! Use any recipe for a great result. Layered cookies make great sedimentary cookies. Students can really participate here, poringon the layers. Here’s a recipe for a seven layer cookie. Preheat oven to 350 degrees F (325 degrees F for glass baking pan). In small bowl, combine graham cracker crumbs and butter; mix well. Press crumb mixture firmly on bottom of 13×9-inch baking pan. Bake 25 minutes or until lightly browned. Cool. Chill if desired. Cut into bars or diamonds. Store covered at room temperature. The results were a great rock party. My students loved this day! They were able to remember information about the types of rocks from the cookies that we made. I think there is a definite stomach – brain connection. Vocabulary development can depend on many things, repetition, connections, visuals, conversation, and, of course, interest. Children, no matter their age, deserve the real words to describe what they are desiring to learn about. All of my vocabulary cards are written with this idea in mind. 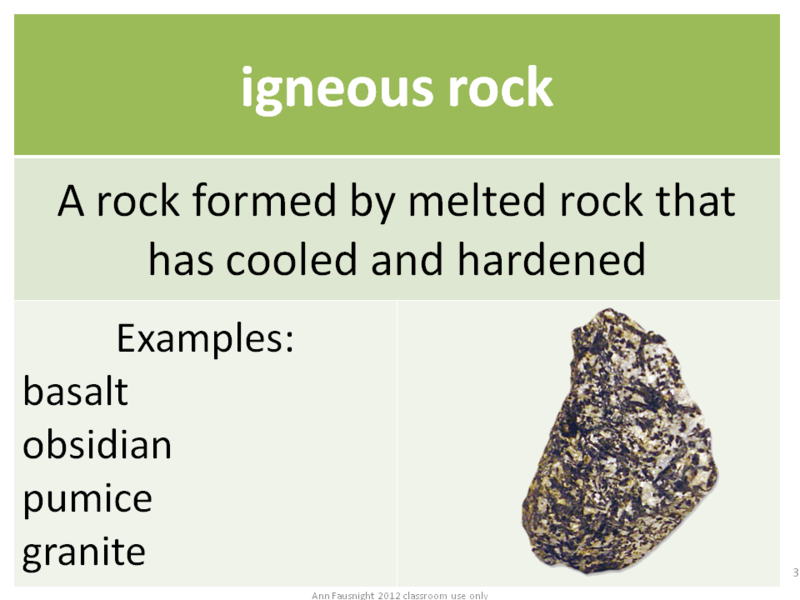 Yesterday I posted the igneous rock. I love to talk with my students about the Latin root of igneous igne meaning fire. They usually have heard of ignite and ignition. Some of the other words are ones I never knew until I was ready to learn them with my kids! That which can be burned or set on fire. 1. To cause to burn. 2. To set fire to. 3. To subject to great heat, especially to make luminous by heat. 4. To arouse or kindle the passions of ; excite. 1. One who ignites. 2. A device to set fire to an explosive or combustible. 1. An electrical system, usually operated by a magneto or battery, that provides the spark to ignite the fuel mixture in an internal-combustion engine. 2. 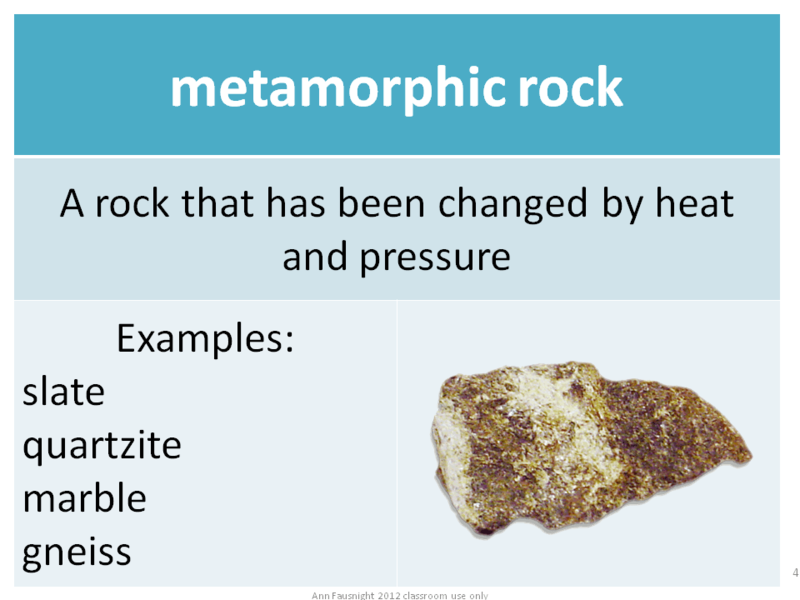 The point at which a substance begins a process of combustion, or the means by which this process begins.Ignitionoccurs when the heat produced by a reaction becomes sufficient to sustain a chemical reaction.Today’s word is metamorphic rock. It’s name comes from Greek roots. Metamorphic comes from the Greek words meta and morph. Meta means change and morph means form. So we get metamorphic meaning to change form. That is just so cool to kids, like a transformer or a shape-shifter! See you on tomorrow to share sedimentary! Word of the Day Cards Are Back! I am excited about my new rock word of the day cards. I am also developing some government cards. Samples of those may appear sometime next week so watch for them! These cards provide the word, definition, examples, and a picture. 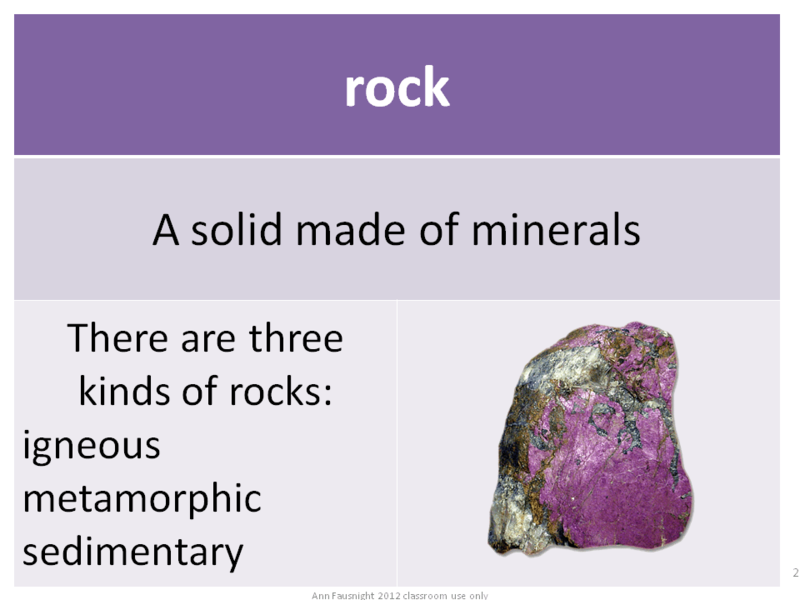 If you would like more information and word cards on rocks visit my TPT store for my Rocks and Minerals Unit ($5.00) or my Rock Cycle Unit ($3.50). The Rocks and Minerals unit includes the Rock Cycle unit. I have created a new product. 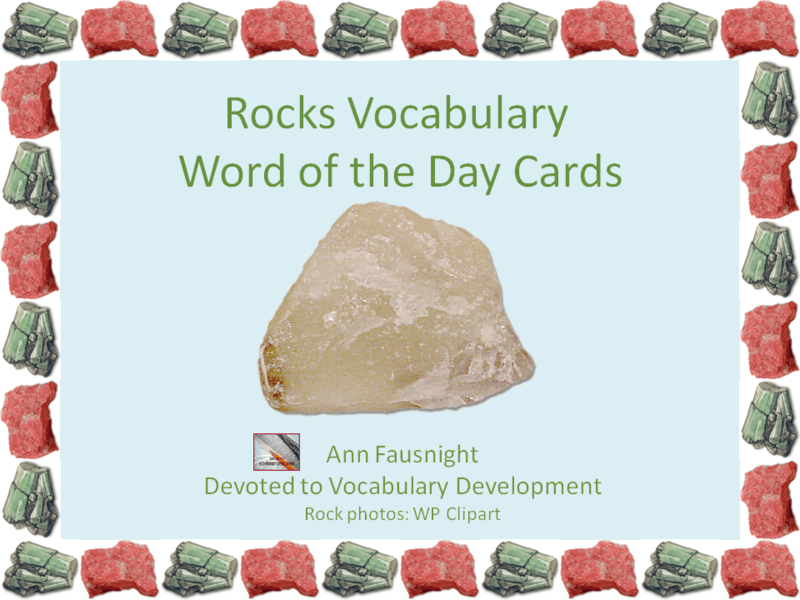 It is Rock Vocabulary Word of the Day Cards. The complete pack consists of 5 cards. It includes the words rock, igneous, metamorphic, and sedimentary rocks. It also includes a B/W card with all 4 words. It is available for free here on my blog. I will post one card each time I blog until they are all posted! I will then put them for sale in my TPT store.